Installed new in 2007 Silverado and just transferred the original to a new Ford F150 XLT. I am a contractor that used the cover professionally for over 10 years and 250k vehicle miles. The unit is so solid (and great looking) I had them Truck Covers USA re-install the same unit on my replacement truck. They are a GREAT Co. (and Product). I expect it to go another 10+ years. 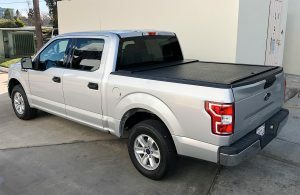 I have attached a photos of my installed truck cover, The Work Cover. My son Jeff, installed it for me for my Father’s Day gift, and he did a great job. I can honestly say that the purchase of this cover is one of the best buying decisions I have ever made. I spent a great deal of my career in sales, and I would often tell my clients that if you base your buying decision on “price”, you will eventually come to regret that decision. 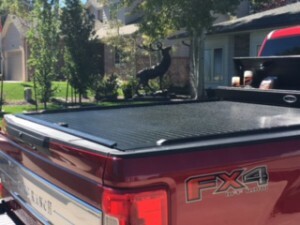 This was an expensive truck cover in my mind, but I firmly believe that one gets what one pays for, and once I saw all the enormous benefits I would derive from this particular cover, the price suddenly was not that big of a deal. I decided to order from an on line dealer and have it shipped directly to my door. 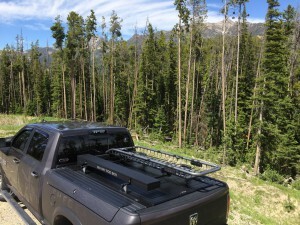 I was a bit intimidated by the weight, so I dropped a few heavy hints to by youngest son how I could use a hand in lifting it into the truck bed. He gifted me with a visit on Father’s day the next week and once we got it into the bed, he completed the entire install, including drilling the drain holes and installing the drain tubes in less than two hours time. A few weeks later my wife and I went on a three week camping trip traveling with our travel trailer to Alabama, Georgia and South Carolina. During that trip, we encountered several very heavy rain storms, and in spite of the intensity of the rain, the bed remained dry and free of water, and the tool box remained water tight as well. 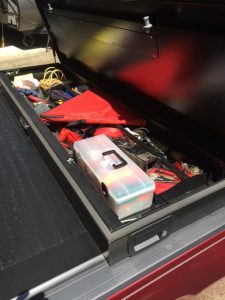 The tool box is adequate for the storage of my “stuff” and I absolutely love the locking mechanism. You guys have definitely hit a “home run” with this product. I look forward to many years of camping and traveling adventures with my Truck Covers USA work cover. Thanks for a great product! I wanted to provide some feedback for this awesome product. First off its a fantastic and is everything I hoped for. The cover assembly was easy for my son and I to install. It took just over two hours. It fit perfectly. I absolutly love its made in America. My truck (2016 – 3500HD High Country) was made in Flint Michigan just outside of motor city. So it was the perfect match. Im an active duty Soldier so im all about made in the USA. The Jr. was just the right size for all my towing accessories and tie downs. The cover was also at a perfect hight for my 5th wheel hitch installed. The instructions were very informative and the pieces were easy to install. Well packeged. Thanks so much for developing this cover and I couldn’t be happier this Sunday! My hats off for all those workers who put your products together! See attachments for my pics. 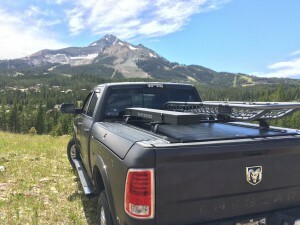 If you’re looking for the best looking roll cover, great versatility, quality construction, durability and helpful customer support, Truck Covers USA is what you want and need. 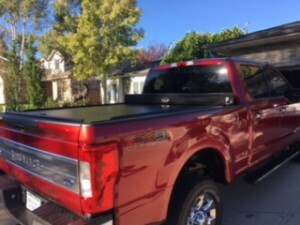 Truck Covers USA, exceeded all my expectations on the purchase of a American Work Cover Jr. for my 2017 Ford F-350. Now if I can get the other drivers to drive and stop gawking it would be great. I can’t say enough about this cover. It’s durable, secure, and keeps all of my gear out of the elements. I never worry about coming back to my truck to find missing equipment, and feel confident that I couldn’t damage it if I tried! 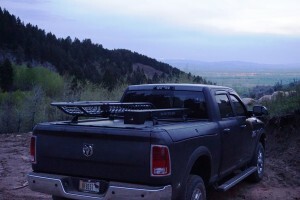 On December 22, 2008 I was returning from a hunting trip to Northern California with three friends. We were traveling on Hwy 395 near Susanville when I hit a patch of ice. I subsequently lost control of the vehicle and went off the side of the road. My truck rolled one and a half times. As you can see in the pictures my truck was a complete loss. Prior to getting a ride in an ambulance, I noticed that although the tailgate of the truck had been damaged and sprung open the bed cover was still intact and closed. Several hours later two of my friends arrived at the hospital. 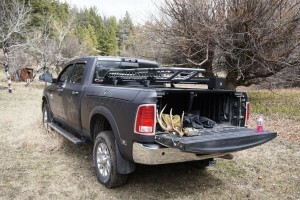 They told me our gear was safe in the back of the truck and that the bed cover was still fully functional! After being released from the hospital we went back to the tow yard to retrieve our gear. The bed lid still worked perfectly. The owner of the towing company graciously removed the bed lid and kept it at his shop. I returned two weeks later and picked up my bed cover. I called Truck Covers USA and scheduled an appointment to have the lid re-installed. Due to the new truck I had purchased, the rails needed to be shortened to accommodate the built-in step of the tailgate in my new Ford truck. The cover looks and works like it is brand new. My thanks to Truck Covers USA for building a remarkable product. In my opinion they build the best cover on the market. In addition, their customer service is second to none. I just installed my roll top bed cover and am completely satisfied and very happy!! The instructions were very clear and easy to follow. I can’t say enough about how great the product is and how well it operates let alone how much it adds to the appearance of my truck! Thanks again for providing the set of replacement parts to me. I just put them on about 5 minutes ago. Fits perfect and looks great! I think I mentioned I’ve had my cover for over 6 years now. During that time I’ve had many people come up and ask me about it, how much they liked it, where did I get it, etc… So now when asked, I will be able to add what great customer service you provide. Here are the pictures you requested of the new parts installed. Thanks again and have a great day!! This is my second retractable cover from you folks. I got the keyless entry this time and it is a great addition. I have had other truck covers in the past and one well known brand – the paint faded so bad I got in a bad mood and sold the truck! I had my last one for four years, one mile from the beach and it looked brand new when I traded the truck. The dealer who sold me the current has had his on his truck for seven years + and it looks as good as new. Keep up the great work! 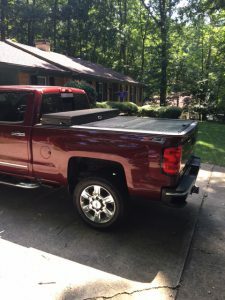 Hi…..Just wanted to let you know I bought an American Roll Tonneau Cover and THIS IS ONE GREAT COVER….I almost bought a (Pace Edwards bedlocker)..but after comparing, The American Roll SOLD ITSELF…I watched your videos on your website! I have your roll top cover and I have to commend you all on your product. Looks and functions great. I also have a bedrug installed and it finishes it off perfectly. I’ll have to admit it took me longer to install the bedrug than it did the roll top cover. I received the keyless entry yesterday, It was easy to install like you said. We love the truck cover and It looks great too. Could not wait for the weekend. Removed the Truxedo low pro soft cover last night (I have only had that for about 30 days. Just was not secure enough for my liking) and installed the new roll up cover. Looks great. Breeze to install. It had the keyless latch installed also as you said it would. This cover looks and works great. I guess I see why all the reviews are so good. I have a billet grill and some HID lights to install this weekend. I will take a picture of it and send to you then. Thanks ! 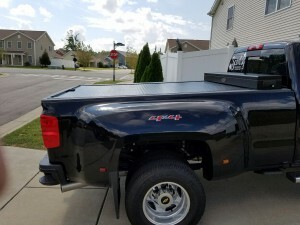 Your company makes the best roll cover I have ever seen and I have had covers of all types (nothing but trucks since 1978) and have a lift fiberglass 200lb snug top cover in my garage ready to be sold to some body that does not know any better err some one who needs a 200lb cover. My friends are trying to sell there hard tops to get one of yours. I tow a fifth wheel and not having to remove the top and store it just to tow and then unhook and not have any cover while driving around is a god send. Keep up the great support and products. Customer for life! I love the cover and have told many people about how to get one. Thank you. 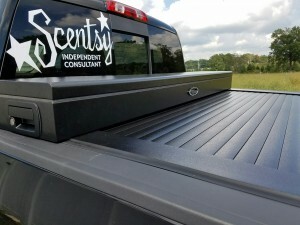 One reason I chose your product was because you were the only ones to have adjusted for the new tail gate on the new 08 ford super duty. I got the first new truck in town and you guys had already come up with a cover that would fit it. No other company out there had made the adjustment yet when I received my cover. I am so happy with your product, from easy installation to top quality craftsmanship. I feel like I have an armored trunk in my truck bed. This thing is rock solid and built to last, not to mention how much better it makes the truck look and perform. Oh did I mention that you and your friendly staff took the time to help me make the right choice. Job well done to you and your staff. I will never own a pickup again without one of your covers on it. Thanks again and best of luck with your outstanding product. What a great cover!!! I really love its versatility, security, looks and toughness. It is worth every dollar (and more) I paid for it. It has withstood snow (up to a foot), ice, water without any sagging, freezing or anything. In December I went to the big discount store and when I got out of the store, there was a big snow storm, I rushed to my truck, brushed off some snow and rolled the cover away, put my merchandise in the truck bed, closed the cover, done. Some people were putting their merchandise in an open bed and trying to cover it with plywood and whatever they had available. I just drove away knowing that my stuff would be dry all the way home. Indeed, it was dry when I arrived home, after driving in a snowstorm for 45 minutes. That’s when I realized what a great truck accessory your cover is. 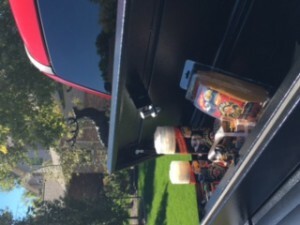 -Lockable, no need to “keep an eye” on the truck when loaded with valuables. -Excellent fit, fits like a glove after some minor adjustments. -Smallest canister in its class. I could go on and on as I own the cover, it has been on my truck and I really enjoy it. I wanted to get a fiberglass topper first, but they’re inconvenient for me. 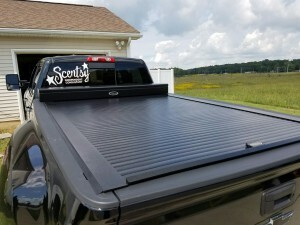 I decided to get a retractable bed cover. I compared before buying, I looked at a some reviews and asked owners in truck forums on the internet, I considered Pace Edwards, Retrax, Bak, Peragon etc. Some took a lot of space (retrax 15″x15″), others leaked more than they should, some rattled a lot, others were difficult to install, some were way overpriced for their quality, others had bad customer service (Peragon). So I decided for your cover, and I don’t regret it, even though it is expensive, it’s worth what I paid and more. Great product. I’m very satisfied, thank you Truck Covers USA!!!! 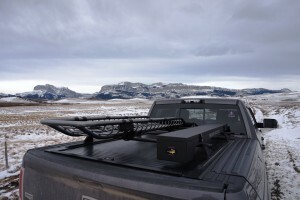 I received my truck cover right on time and am very pleased with the quality and craftsmanship of the product. Everything installed perfectly and I am very happy with the results. Thank you very much for your customer service and ease of business.